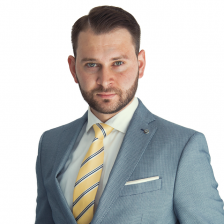 Iulian Anghelin – Bitsong EMEA and Foreign Relations MANAGER. Passionate about cryptocurrencies and blockchain,excellent communication skills,5 languages speaker. Coming from a multi-cultural background and having lived in different countries, I have become a passionate intercultural expert. Fluent in English, Italian, French, Roumanian and Spanish, I am highly proficient at working across multiple cultures. An independent and self-motivated professional with excellent communication and interpersonal abilities, I am able to grow positive relationships with colleagues at all organizational levels. Creative and resourceful, I am a flexible professional who enjoys learning new skills and quickly adapts to organizational changes. I had the opportunity to work as EMEA Manager and Community Manager for various projects dedicated to the decentralization of the various sectors. I love innovation and I dedicate my free time to research and information.